BUILDING THE CAPABILITIES OF THE NEXT GENERATION. Vivant Foundation Inc. turns over EIM-Solar equipment and various teaching tools to Bantayan Senior High School. THE growing demand for rooftop solar projects has prompted Cebu-based energy firm Vivant Corporation to pursue these small-scale projects not just in Cebu but in other parts of the country as well. Since they started in 2017, Vivant has already established 9-megawatts (MW) worth of rooftop solar projects in only two areas – Cebu and Bulacan. “There are already a lot of customers who want to sign up. We have a minimum requirement of at least 100 kilowatts (kw) for our rooftop solar projects. But we give exceptions in areas where we have a lot of presence,” said Mark Habana, vice president for commercial affairs, at the sidelines of Vivant’s annual stockholders’ meeting last week. It takes about 1,000 square meters of roof space to operate a 100-kw rooftop solar system, provided it is free of any obstructions. The listed energy firm partnered with Chinese firm ET Energy in September 2017 to form ET Vivant Solar in their venture into rooftop PPAs (Power Purchase Agreements). ET Energy is their technology provider for their solar rooftop projects. Since then, ET Vivant Solar has contracted 12 establishments in the two areas. Of the 12 rooftop solar projects, two are located in Cebu which are both manufacturing plants. Habana refused to disclose the identities of their clients, citing lack of authority. 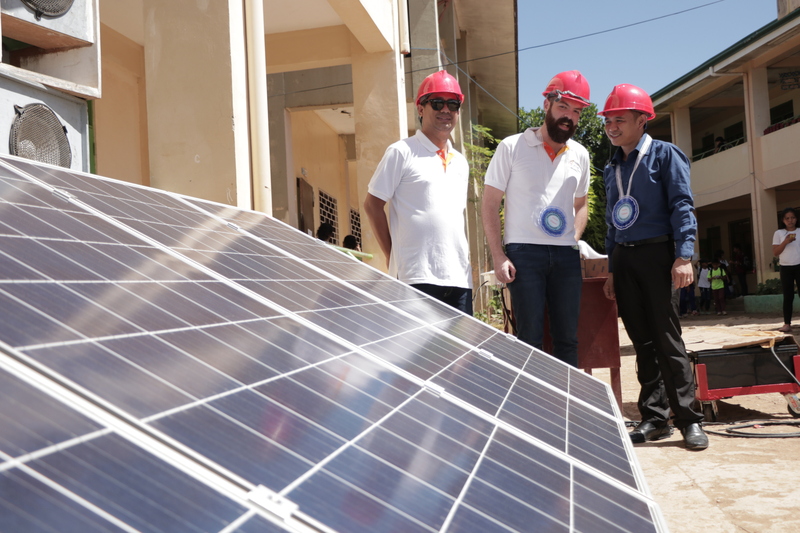 Habana added that they have set a target of a total of 10-MW worth of rooftop solar projects this year. Among their common clients are manufacturing firms, poultry farms, and schools, among others. A solar rooftop system takes about two months to install. But ET Vivant Solar has a commitment to complete their rooftop solar projects within six months from signing with their clients. “We offer lease to own contracts. They don’t need to purchase the solar panels. They just pay for the energy they consume. But instead of paying for the current utility prices, they pay a reduced rate,” said Vivant Executive Vice President and Chief Operating Officer Arlo Sarmiento. He said that solar rooftop systems act as an augmentation to their existing utility providers. He said when they produce enough energy from the rooftop solar, they use it, but in times when it does not produce enough, like during rainy or cloudy days, they can still use electricity from their utility providers. Their contracts with clients are at least 15 years.